Selling Tonka Toys? Rare Near Mint Tonka Toys 1955 675-5 Trailer Fleet Set in the Original "Garage" Box! 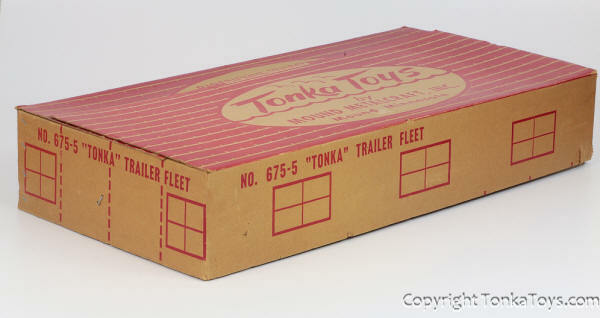 Rare Near Mint Tonka Toys 1955 675-5 Trailer Fleet Set in the Original "Garage" Box! 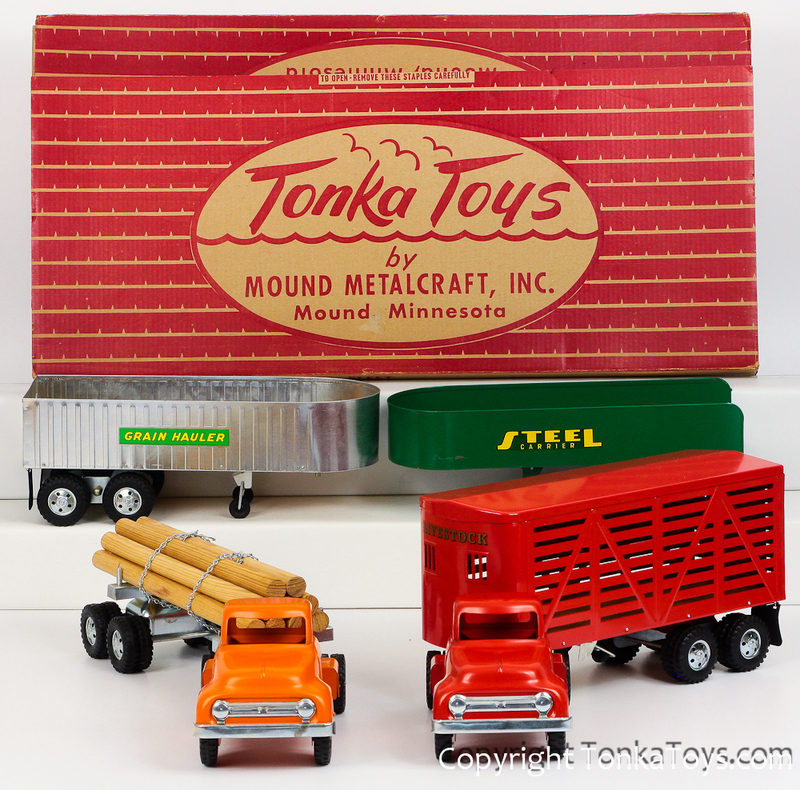 This was quite a set in 1955 with two 1955 Semi Trucks included in this set with 4 trailers! The Orange Semi is a tough color to find because so few models were made in orange paint. 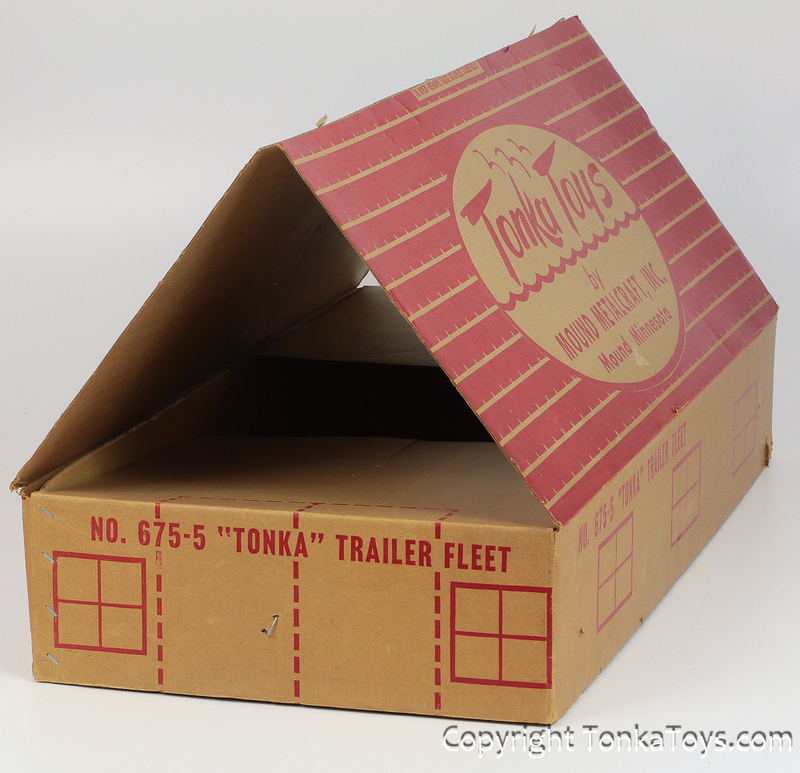 The set box can be made into a trucking company garage with the fold up roof and sides that can be cut out. This set shown still has the original dull paint with original patina. It is almost impossible to find terrific examples like this that have not been polished. This set also has all but one of the original mud flaps intact on the truck which is unheard of in the collecting world. I am thrilled to have found such a pristine example of this set as shown.